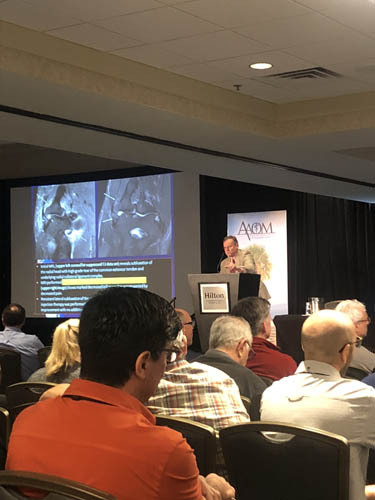 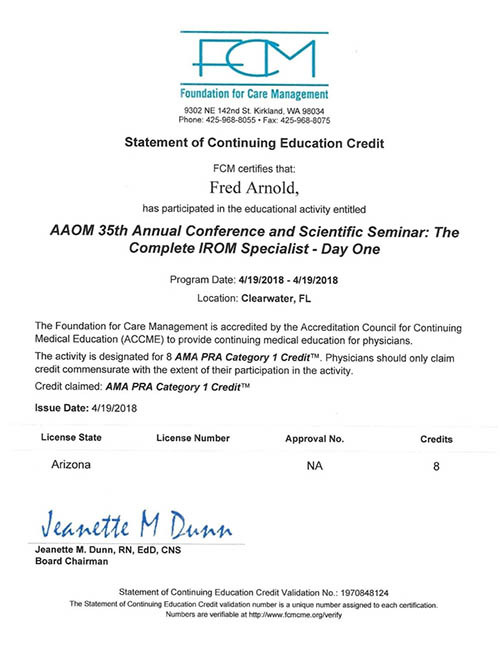 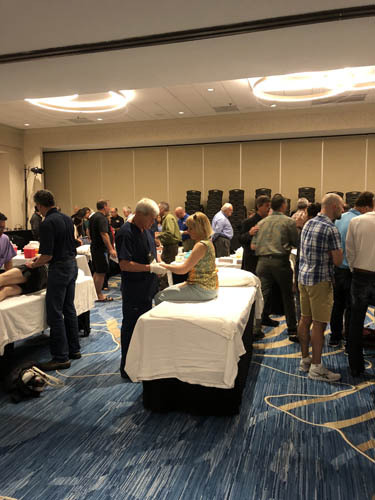 Dr. Fred Arnold attended the 35th Annual American Academy Orthopedic Medicine (AAOM) conference in Clearwater, Florida April 18-21, 2018. 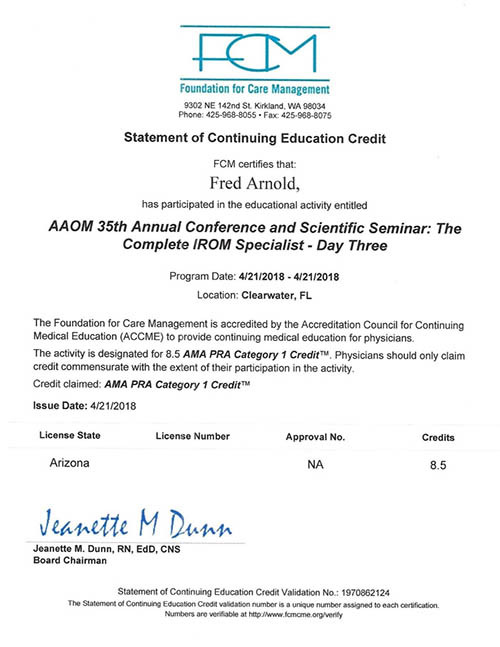 Regenerative Medicine lectures were provided by international authorities in the field of regenerative medicine. 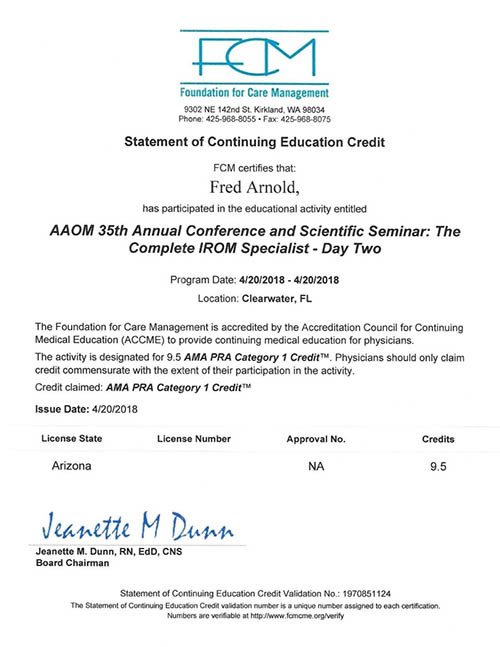 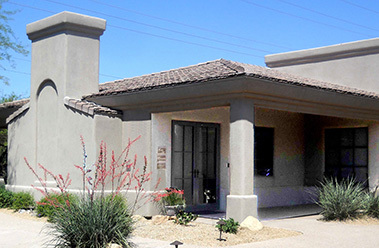 As a member of the AAOM and Certified in Prolotherapy, Dr. Arnold received 25 hours of continuing education.